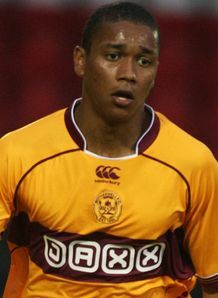 Leicester City are reported to be one of a number of football clubs chasing Motherwell winger Chris Humphrey. Sky Sports report that scouts from Bolton, Birmingham, Newcastle, Rangers, Swansea, Sunderland and Leicester were all in attendance at Fir Park as the Steelmen's game against Hibernian on Friday was abandoned due to an electrical fire. All were keen to watch 24-year-old Humphrey, who has set alight the Scottish Premier League with his dazzling performances so far this season. Humphrey has established himself as a key man in Stuart McCall's side but the Lanarkshire club are in no position to turn-down a good offer for their star man, with the Scottish game's biggest players all struggling for funds and Nigel Pearson's Foxes in a position to spend richly in January. Humphrey has rubbished speculation and committed himself to the Motherwell cause. The Steelmen are vying for a European place, in a comfortable third position in the SPL six points ahead of St Johnstone and eight points behind Celtic in second, with a game in hand over Neil Lennon's Hoops.